What's your favorite thing about Split? "Favorite thing about Split?" That's a question tourists often ask us. As locals living in the second largest city in Croatia and metropolis of Dalmatia, it is one of the most frequent questions we get. Especially since we work in tourism. Warm climate¸ numerous beaches, stunning Diocletian's Palace merged with the old town, spacious promenade, lovely park forrest Marjan located close to the center as well as crystal clear Adriatic Sea, delicious mediterranean cuisine and summer festivals are just some of the reasons why Split is also called the "Pearl of Adriatic". 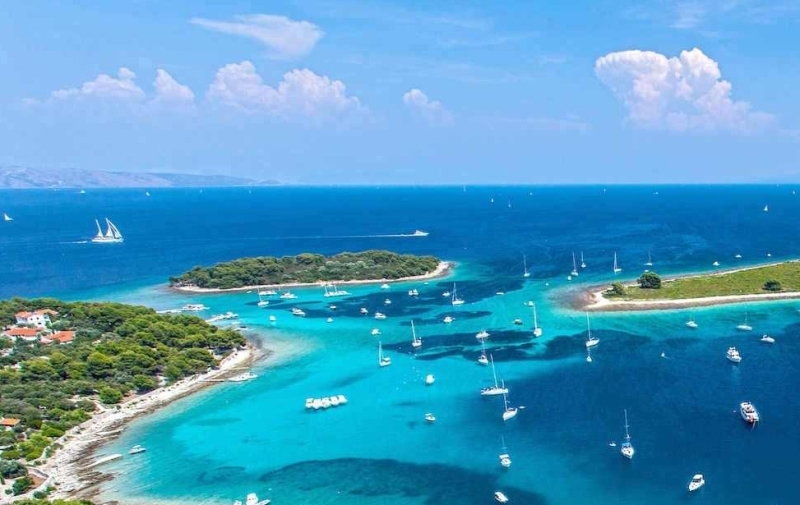 When you add rich history of Croatia, vibrant nightlife, new shopping malls, diverse selection of accommodation options as well as numerous islands in front and UNESCO protected towns around Split, you have a formula for unforgettable vacation in Croatia. It is no wonder Roman emperor Diocletian choose this stretch of heaven for his retirement home and built a palace here. Tourists often ask us where is the palace but it is so large that people don't even realise they are inside of it. It ocupies 30,000 square meters which makes it one of the most imposing ancient Roman structures in existence today. If you go for a short walk from the centre¸ you will find plenty of beaches to choose from¸ including sandy beaches and especially pebble beaches. Whether you prefer family beaches¸ party beaches¸ beaches with plenty of shade or you just want to sit in a nice cafe bar and enjoy the view and scent of pine trees and the sea¸ you have plenty of options. That being said¸ some beaches are located bit further from the centre but they are all easily accessible. Maximum 10 to 15 minutes away from the centre¸ with a car or scooter. 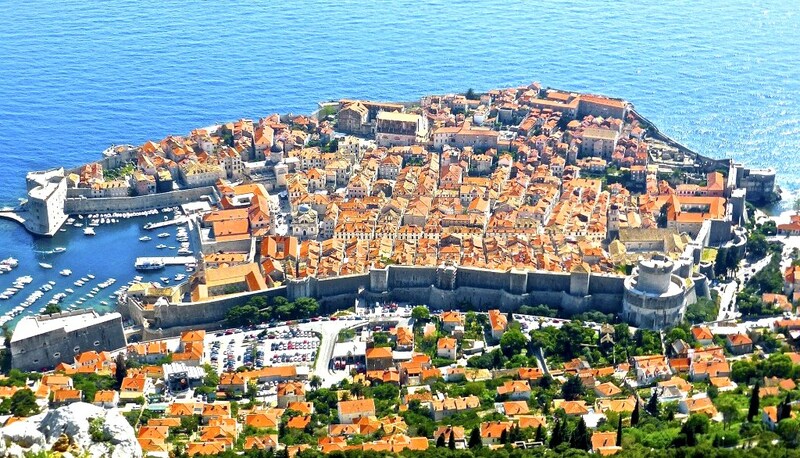 Once you explored the Diocletian's Palace and the old town¸ relaxed on the beach of your choice¸ enjoyed in stunning vistas from the top of Marjan hill¸ had a fun night out or a delicious dinner in one of many restaurants¸ there are still a lot of amazing places left to visit. 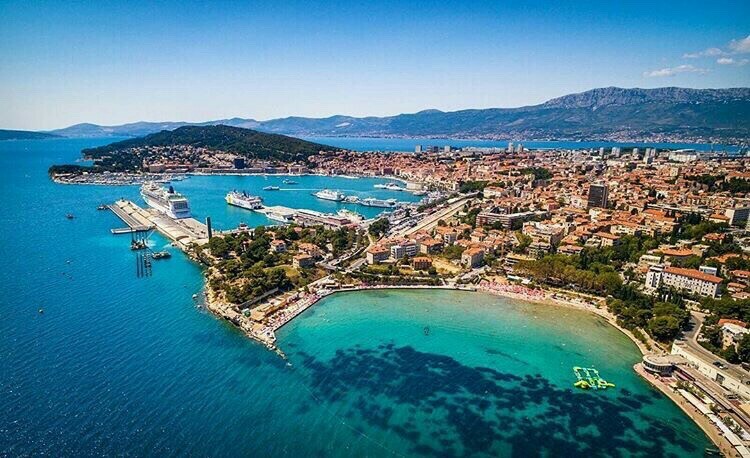 You might decide to buy a house in one of the towns that surround our ancient city such as Trogir¸ Omiš¸ Solin¸ Stobreč or Kaštela. 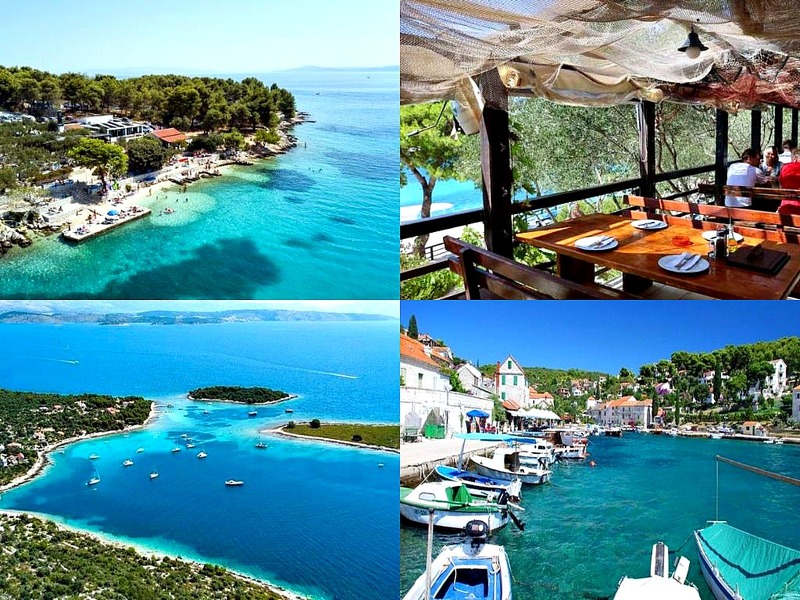 If you prefer the islands¸ you have Šolta and Brač¸ located less then 1 hour away with a ferry. These small towns and mid Adriatic islands embody the spirit of mediterranean as it once was. 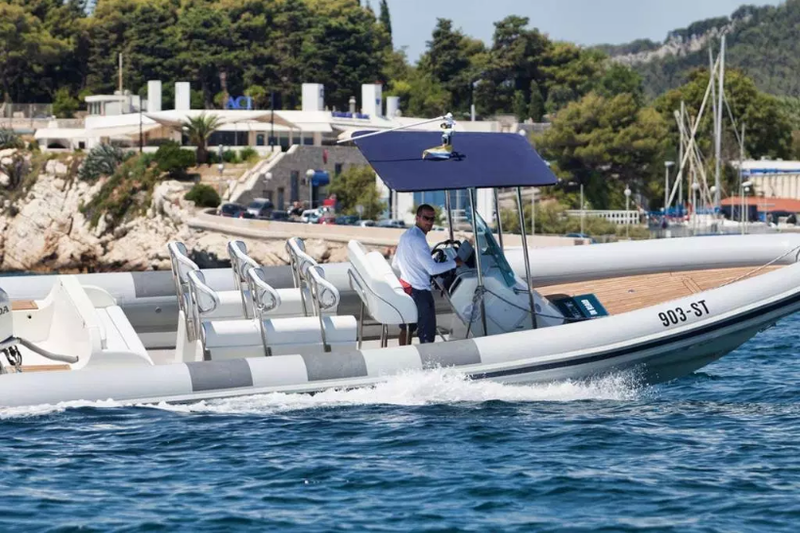 If you go a bit further¸ you will find renowned Hvar island¸ famous Blue Cave and Stiniva beach on Vis island as well as stunning National Park Krka¸ all located between 1 to 2 hours away from Split¸ either with a car or a speedboat. 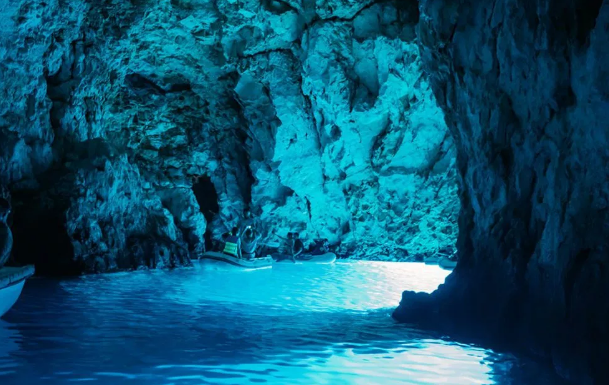 Blue cave is one the most stunning locations in Croatia and natural phenomena located on small island of Biševo¸ near Vis. 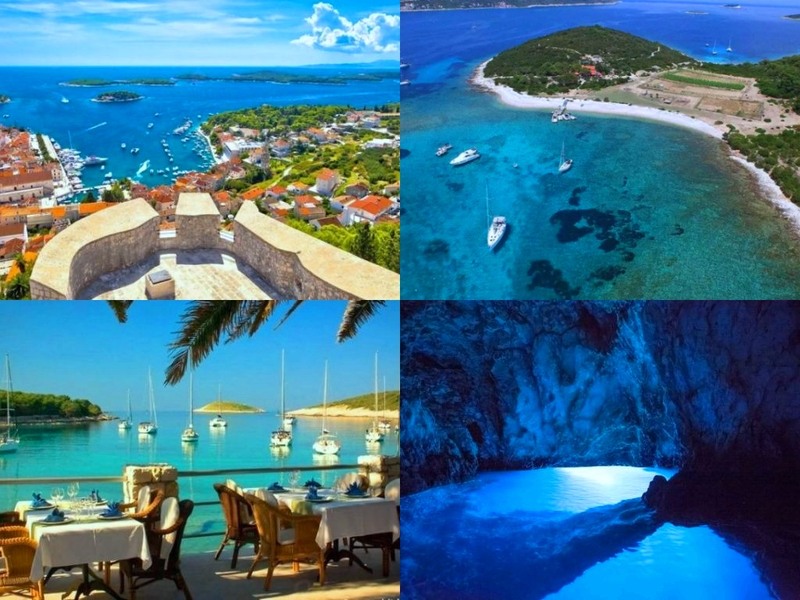 It is also part of Five islands tour which combines stunning locations around Vis and most popular destinations from Hvar archipelago¸ packed in exciting full day adventure. Blue cave - five islands tour is the most popular excursion from Split which goes every day. 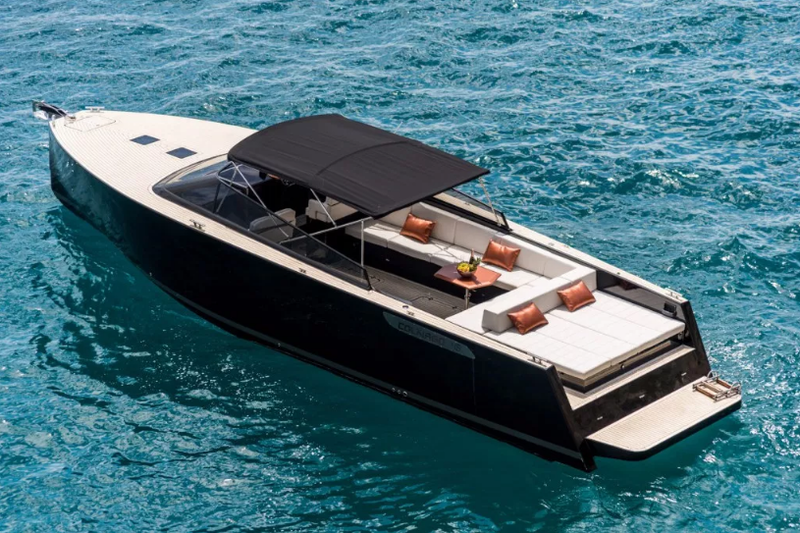 You can even choose between 3 types of speedboats. Whichever suits you best. 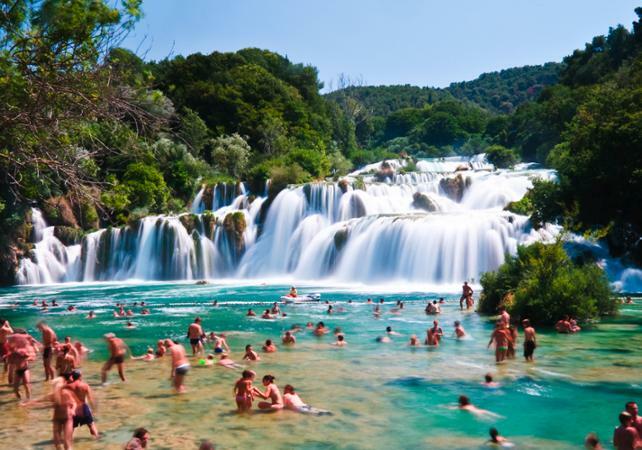 National Park Krka is picturesque paradise located only 1 hour and 30 minute drive from the second biggest city in Croatia. It is preserved ecosystem with seven waterfalls¸ exceptional natural value¸ chrystal clear water and stunning scenary which will leave you speechless. Krka Waterfalls are intertwined with signs¸ wooden bridges and walkways which will help you explore every part of this mesmerizing place. It is wonder of nature you simply have to visit. 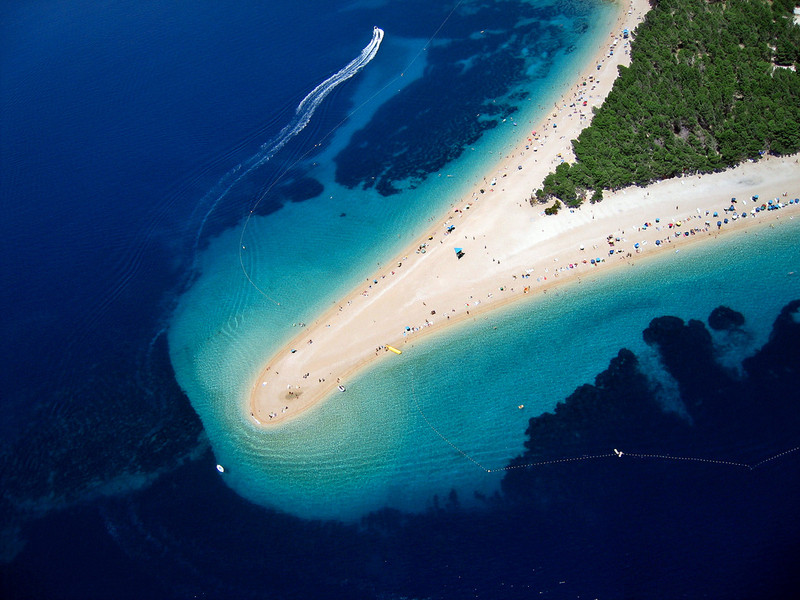 Zlatni rat or Golden Horn beach is one of the most famous beaches on this side of Adriatic. Covered in small golden pebbles, beach protrudes over 500 meters out into Adriatic Sea. You can visit Zlatni Rat beach and its town of Bol with luxury yacht during one day cruise from Split¸ along the Adriatic islands. 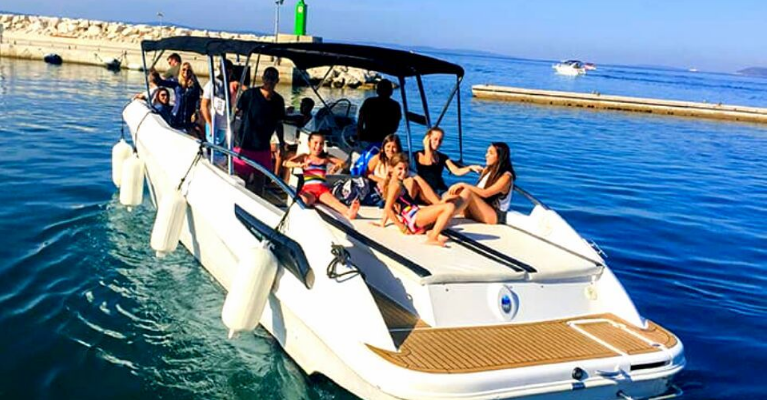 You can also take a ferry to Supetar and rent a car¸ if you don't have your own¸ or take a bus to the other side of the island. If you prefer secluded locations and picturesque scenery¸ you will fall in love when you see Blue Lagoon and nearby islands¸ Čiovo and Šolta. These places are less crowded with tourists and stunningly beautiful. They also provide great diving spots¸ crystal clear water and peaceful locations for escape from everyday life. 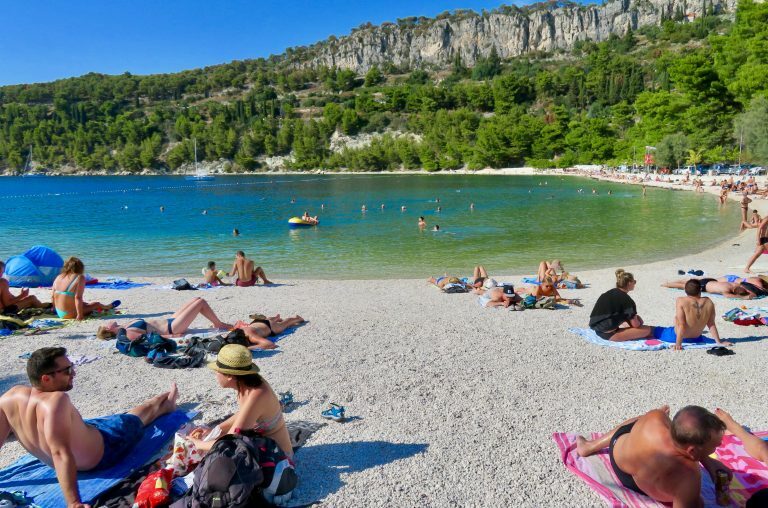 Alhough Split's favorable geographical position in the middle of Dalmatia makes it great location for vacation in Croatia¸ if you want to visit Dubrovnik on the south or Plitvice lakes on the north¸ you would lose 3 to 4 hours on the road. That being said¸ exploring old town of Dubrovnik (picture above) or amazing Plitvice Lakes (picture below) is worth your time since the sights are amazing. Whether you decide to explore Croatia with your own car¸ take an excursion or book a private tour¸ you will enjoy in unforgettable experience. 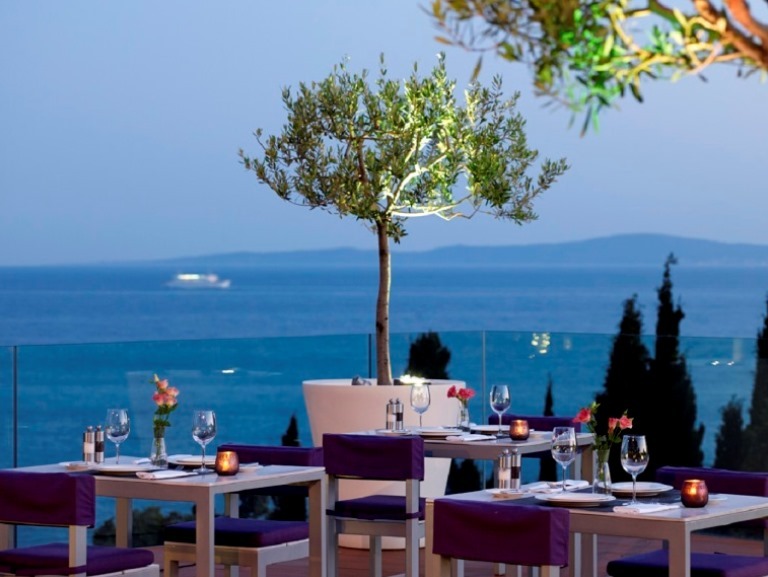 We will show you different accommodation options¸ the best restaurants¸ you will know when are the biggest festivals as well as where are the best shopping malls in the capital of Dalmatia. Since many tourists asked us about the weather¸ we will show what you can expect so you can choose the date of your visit which suits you best. At the end of the day¸ you will know how to get here¸ when to come¸ where to stay¸ what to do¸ which places you want to visit and all the local secrets we learned by working and living in Split for more then 30 years. 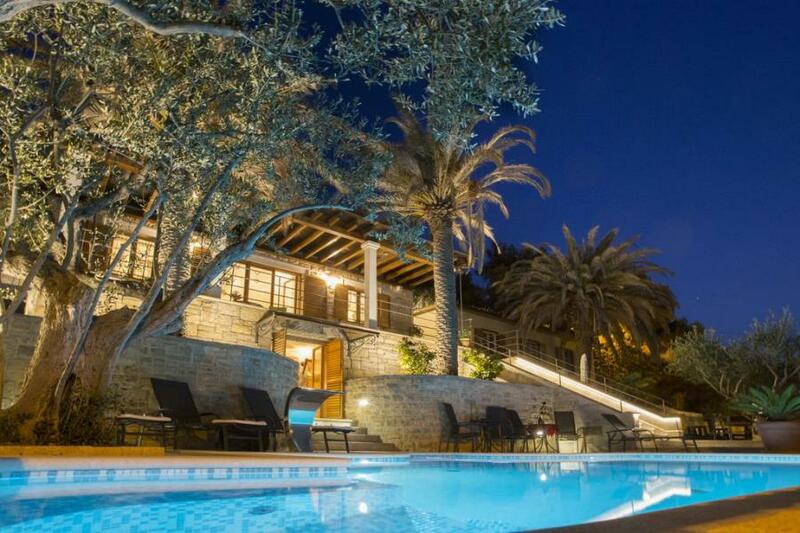 Let us help you have the best possible vacation in Croatia. If you find splitexplore.com helpful, please share it, tweet about it or like it on facebook. It helps us grow. Thank you! 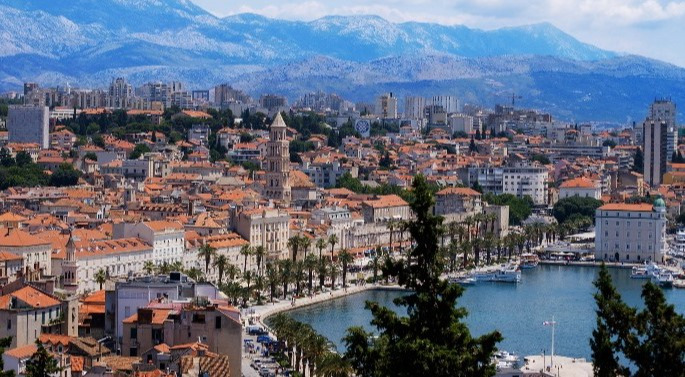 We are group of enthusiast who were born and raised in Split, metropolis of Dalmatia and second largest city in Croatia. We are happy to share the knowledge and to work in tourism, thanks to our lovely town and our small but beautiful country. Copyright © 2018 - SplitExplore - All Rights Reserved.